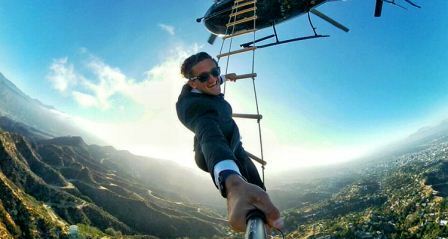 Casey Neistat is a film maker and YouTube star. 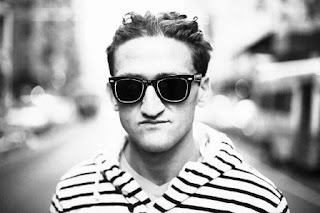 Casey Neistat net worth is an estimated $12 million. Casey spends most of his time vlogging, tweeting and sharing pictures on Instagram. He co-founded the video messaging app called Beme together with web engineer Matt Hackett. The app was acquired by CNN late last year for $25 million. Neistat dropped out of Ledyard high school at the age of 15, never going back to graduate. While working as a dish washer to make ends meet, Casey got his girlfriend pregnant. His son Owen Neistat is now a teenager and features a lot on his dad’s vlog videos. He is married to Candice Pool and have daughter named Francine. He had an HBO show, The Neistat brothers that aired in 2010. Casey Neistat YouTube channel is one of the most noteworthy subscribed channels having attracted over 6.5 million subscribers as of early March 2017 and gained over 1.4 billion video views since launch in February 2010. The channel has obtained 48,743,400 views in the last month across its 759 videos, which could translates to estimated revenue of $800,000 in the next twelve months. Casey Neistat is on an upward trend in terms of subscriptions, having acquired 125,121 new subscribers in the last 30 days. YouTube’s average pay for 1000 monetizable views is USD 2 to USD 5. Approximately 60% of the total views on a video are monetizable. Due to various factors on the web users’ side, approximately 40% – 60% of the views are monetizable depending on your audience. Casey Neistat net worth is boosted by income from his acting career, public speaking, directing Tv commercials for companies like Nike, Google, Samsung and Mercedes Benz.